n 1910 a second International Conference of Working Women was held in Copenhagen. A woman named a Clara Zetkin (Leader of the 'Women's Office' for the Social Democratic Party in Germany) tabled the idea of an International Women's Day. She proposed that every year in every country there should be a celebration on the same day - a Women's Day - to press for their demands. The conference of over 100 women from 17 countries, representing unions, socialist parties, working women's clubs, and including the first three women elected to the Finnish parliament, greeted Zetkin's suggestion with unanimous approval and thus International Women's Day was the result. Following the decision agreed at Copenhagen in 1911, International Women's Day (IWD) was honoured the first time in Austria, Denmark, Germany and Switzerland on 19 March. More than one million women and men attended IWD rallies campaigning for women's rights to work, vote, be trained, to hold public office and end discrimination. However less than a week later on 25 March, the tragic 'Triangle Fire' in New York City took the lives of more than 140 working women, most of them Italian and Jewish immigrants. This disastrous event drew significant attention to working conditions and labour legislation in the United States that became a focus of subsequent International Women's Day events. 1911 also saw women's 'Bread and Roses' campaign. On the eve of World War I campaigning for peace, Russian women observed their first International Women's Day on the last Sunday in February 1913. In 1913 following discussions, International Women's Day was transferred to 8 March and this day has remained the global date for International Wommen's Day ever since. In 1914 further women across Europe held rallies to campaign against the war and to express women's solidarity. On the last Sunday of February, Russian women began a strike for "bread and peace" in response to the death over 2 million Russian soldiers in war. Opposed by political leaders the women continued to strike until four days later the Czar was forced to abdicate and the provisional Government granted women the right to vote. The date the women's strike commenced was Sunday 23 February on the Julian calendar then in use in Russia. This day on the Gregorian calendar in use elsewhere was 8 March. Since its birth in the socialist movement, International Women's Day has grown to become a global day of recognition and celebration across developed and developing countries alike. 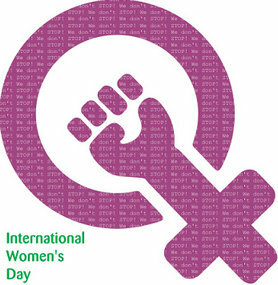 For decades, IWD has grown from strength to strength annually. For many years the United Nations has held an annual IWD conference to coordinate international efforts for women's rights and participation in social, political and economic processes. 1975 was designated as 'International Women's Year' by the United Nations. Women's organisations and governments around the world have also observed IWD annually on 8 March by holding large-scale events that honour women's advancement and while diligently reminding of the continued vigilance and action required to ensure that women's equality is gained and maintained in all aspects of life.